Bigg boss season 6 full episode #6 from Colors TV featuring 13 contestants. Watch all full episodes here. Watch full 5th Episode online of Bigg Boss 6 which airs on Colors TV every night IST 9:00 PM. In this episode you watch Navjot Singh Siddhu prepares pagdi for girls of the house and dances on the tunes of Mundian ton bach ke rahi and many more moments. 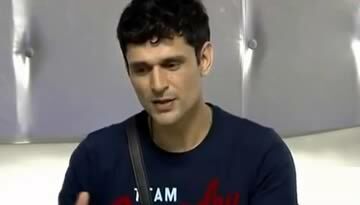 BB6 contestant are: Navjot Singh Sidhu, Sana Khan, Vrajesh Hirjee, Sampat Pal Devi, Urvashi Dholakia, Aashka Goradia, Dinesh Lal Yadav (Nirahua), Delnaaz Irani, Sapna Bhavnani, Aseem Trivedi, Rajeev Paul, Sayantani Ghosh, Niketan Madhok, Karishma Kotak.